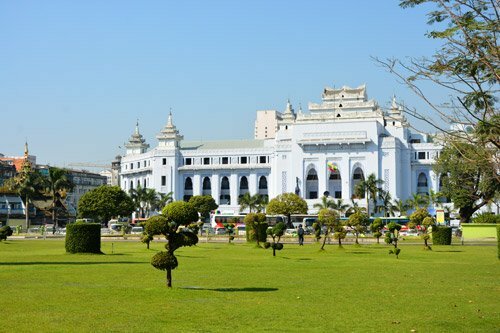 This is the city hall of Rangoon that you’ll find next to the Sule Pagoda and Mahabandoola Gardens. In the middle of the city we find the Mahabadur garden. It is a very popular city park that is known for being a good hang out place, but also because of its eye catcher in the middle. 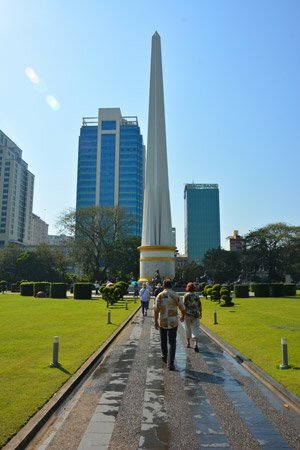 This long obelisk is the Independence monument. It commemorates the independence of Burma from Britain in 1948.